South Korea's No. 1 duty-free shop Lotte Duty Free is ramping up efforts to expand its presence in the global market in the face of fierce competition at home, industry sources said Wednesday. The duty-free chain, operated by Hotel Lotte Co., opened a new airport outlet in Nha Trang, Vietnam, late last month, raising the total number of its overseas operations to seven. The South Korean central bank is expected to hold the country's key rate at the current 1.5 percent in its upcoming monetary policy meeting amid rising uncertainties at home and abroad, market insiders said Wednesday. The Korea Financial Investment Association (KoFIA) said that in its latest poll, 89 percent of 100 local bond traders forecast a rate freeze at the BOK meeting scheduled for Thursday. The so-called stewardship code for institutional investors has led to positive effects in foreign countries, including a boost in shareholder interests, the welfare ministry and the state pension operator said Wednesday. South Korea's National Pension Service (NPS) is seeking to adopt the stewardship code late this month, which refers to a set of principles or guidelines aimed at making institutional investors active and engaging in corporate governance in the interests of their beneficiaries. 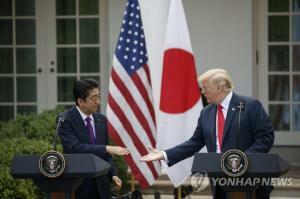 U.S. President Donald Trump says he has a "little gift" for North Korean leader Kim Jong-un, but declined to reveal what it is. 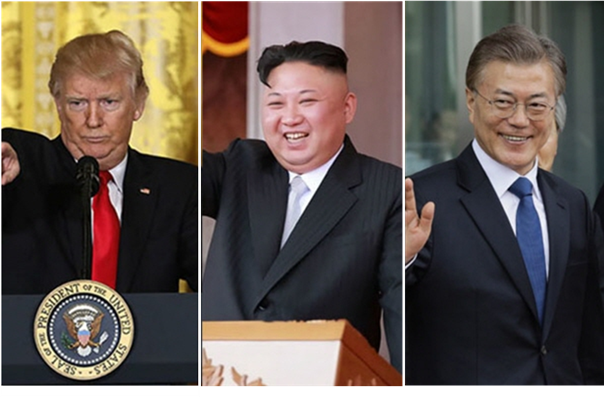 Speaking outside the White House before departing for the NATO summit in Belgium on Tuesday, Trump was asked about reports that Secretary of State Mike Pompeo brought an Elton John CD that includes the song "Rocket Man" to Pyongyang last week to deliver to Kim. President Moon Jae-in will wrap up his India trip and head to Singapore for a three-day state visit on Wednesday afternoon. Moon will attend a formal welcoming ceremony on Thursday before meeting with Singapore President Halimah Yacob and holding summit talks with Prime Minister Lee Hsien Loong. Moon will then attend a ceremony in which the governments of the two sides will sign memoranda of understanding. 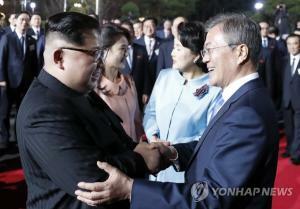 South Korea's rival parties have agreed over how to split the top parliamentary positions for the second half of the 20th National Assembly’s four-year term. The floor leaders of the ruling Democratic Party, main opposition Liberty Korea Party, the minor Bareunmirae Party and the Assembly of Lawmakers for Peace and Justice reached the agreement on Tuesday, including on how to distribute the top posts of the various parliamentary standing committees. The so-called stewardship code for institutional investors has led to positive effects in foreign countries, including a boost in shareholder interests, the welfare ministry and the state pension operator said Wednesday. South Korea's National Pension Service (NPS) is seeking to adopt the stewardship code late this month, which refers to a set of principles or guidelines aimed at making institutional investors active and engaging in corporate governance in the interests of their beneficiaries. Citing reports published in Britain, which introduced the code for the first time in the world in 2010, the ministry and the NPS said it has helped establish friendly ties between institutions and invested companies, and raise corporate value. The top Democrat in the U.S. Senate claimed Tuesday that North Korean leader Kim Jong-un took U.S. President Donald Trump "to the cleaners" at their meeting in Singapore last month. The remark from Sen. Chuck Schumer (D-NY), the minority leader, came as he expressed his reservations about an upcoming one-on-one meeting between Trump and Russian President Vladimir Putin. "When the president met with President Xi, when the president met with Kim Jong-un, they took him to the cleaners, it seems, and got what they wanted and we didn't get much of what we wanted," Schumer said, referring first to Chinese leader Xi Jinping. South Korea's No. 1 duty-free shop Lotte Duty Free is ramping up efforts to expand its presence in the global market in the face of fierce competition at home, industry sources said Wednesday. The duty-free chain, operated by Hotel Lotte Co., opened a new airport outlet in Nha Trang, Vietnam, late last month, raising the total number of its overseas operations to seven. The company is also known to be interested in the upcoming bid for the duty-free shop license at the second terminal of Taiwan Taoyuan International Airport, while also mulling acquisition of Australia's JR Duty Free. South Korean President Moon Jae-in asked the head of an Indian conglomerate to reinstate former workers at SsangYong Motor who were sacked during the restructuring of the then ailing carmaker. “The issue of reinstating dismissed workers at SsangYong Motor remains unresolved despite a compromise reached between labor and the management,” said Moon when he encountered Anand Mahindra, chairman of Mahindra Group, at a meeting with CEOs of companies from both countries. South Korea's commission for the minimum wage on Tuesday voted down a proposal to differentiate minimum pay by business sector, dealing a blow to employers' push for the move. The Minimum Wage Commission, comprising those representing the public interest, workers and employers, rejected the proposal in a 14-9 vote. Of the 23 participants in the poll, five were from the labor side and nine spoke for the public interest. Following the vote, the employers' representatives left the room in protest. South Korea on Tuesday announced the suspension of the annual government mobilization Ulchi exercise this year, following the suspension of the combined military drill Freedom Guardian with the US last month. The Defense Ministry and Interior Ministry said the Ulchi exercise will be incorporated with the command-post Taeguk military exercise next year. This year’s Taeguk command exercises will take place in late October in tandem with the Hoguk field training exercise, the ministries added. The Constitutional Court is currently reviewing a civil code article that designates animals as property. It is expected to reach a decision later this month. The code classifies animals as objects without any basic rights or interests granted to human beings. Care, an animal rights group, said this classification has led to unjust rulings in cases involving animal abuse. The group filed the case with the court last June. President Moon Jae-in and Indian Prime Minister Narendra Modi agreed Tuesday to hold regular summits to reflect the growing importance of their partnership in the region's evolving security and economic environments. They decided to support small- and medium-sized enterprises operating in each other's countries, and expand cooperation in advanced technology development and infrastructure construction in India, according to Cheong Wa Dae. LG Display said Tuesday it had received approval from the Chinese government to build an OLED display production facility in the southern Chinese city of Guangzhou. With a combined investment of roughly 5 trillion won ($4.48 billion), the Guangzhou plant is a joint venture, 70 percent owned by LG Display and 30 percent owned by the Guangzhou Development District. LG Display said it gained approval for the joint venture from the State Administration for Market Regulation. Software tycoon Ahn Cheol-soo, whose once-stellar political career sputtered to a halt when he lost the race for Seoul mayor last month, said Monday he will take a long break from politics. Sources said he is contemplating spending some time in Germany. Ahn entered politics six years ago on a wave of enthusiasm for his plans to reform Korea's notoriously corrupt and ossified political system but soon foundered on its cogs and last ran on a lackluster centrist ticket. He came a distant third in the race for Seoul mayor in June. Asiana Airlines has been accused of appointing a foreigner to its board of directors, which is illegal under Korean aviation laws. Earlier this year, budget carrier Jin Air got into trouble for the same obscure violation. The Ministry of Land, Infrastructure and Transport said Monday that a probe into the boards of domestic carriers revealed that a U.S. citizen named Brad Park sat on the Asiana board from March 2004 until March 2010. U.S. Secretary of State Mike Pompeo was given the details of his schedule only a few hours ahead of his arrival in Pyongyang over the weekend. When he arrived on Friday morning, Pompeo "had few details of his schedule in the North Korean capital -- even which hotel he and his staff would stay in," Bloomberg News reported. 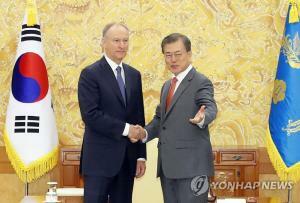 "Not much was clear aside from lunch with counterpart Kim Yong-chol." India, which boasts the world’s second-highest population at 1,354,000,000 people (after China’s 1,415,000,000), is attracting South Korean businesses like Samsung Electronics, Hyundai Motor, and POSCO not only as a huge export market but also as an investment base. Many in the business world are looking to it as the “next China,” providing a potential outlet as the US-China trade war enters full swing. 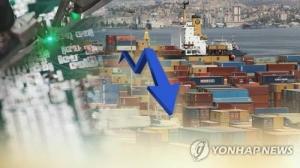 South Korea’s trade surplus with India last year was its largest ever at $10.1 billion. The number has risen by around 1,400 times since the two sides formed diplomatic ties in 1973. It accounts for just 2.6% of all exports – far behind either China or the US – but harbors massive growth potential. Around 440 South Korean businesses have already ventured into the country in a variety of areas including consumer goods, infrastructure building, shipping, and finance. South Korean President Moon Jae-in boarded the New Delhi subway and met with members of the Indian public on July 9 after a surprise suggestion from Indian Prime Minister Narendra Modi. For the second day of his visit as a guest of the state, President Moon worked to broaden full-scale economic cooperation with India. President Moon boarded the subway with Modi that afternoon on his way to a dedication ceremony of a second Samsung Electronics plant in Noida, a city in the northern Indian state of Utter Pradesh. The two talked as they traveled a total of eleven stops from Mandi House to Botanical Garden. The Chammae-1, an IL-62M that is North Korean leader Kim Jong-un’s official airplane, was confirmed to have made a return flight from Pyongyang to the Russian city of Vladivostok on July 9. (Chammae is the goshawk, which is North Korea’s national bird.) 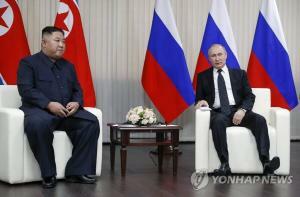 There is speculation that this was a rehearsal for Kim’s possible visit to Vladivostok this coming September. According to Flightradar24, a website that provides real-time information about the movement of airplanes around the world, Chammae-1 flew across the East Sea to Vladivostok on the morning of July 9, where it remained for about three hours before returning to the North on the same route. It looks like drivers will be able to talk with artificial intelligence (AI) robots while driving. Hyundai-Kia Motor Group is partnering with Baidu, China’s search engine giant, to strengthen cooperation on connected car technologies, including AI robots. Hyundai-Kia Motor Group and Baidu signed a memorandum of understanding (MOU) Tuesday for strategic cooperation on connected cars at the Chinese firm’s headquarters in Beijing, China. The two companies will raise their bilateral cooperation to the level of “alliance,” according to the MOU. It is Hyundai’s strategy to target China’s future generations by cooperating with Baidu in the largest car market in the world. The South Korean government said Tuesday that it would combine the Ulchi Freedom Guardian (UFG) exercise, an annual defense drill that it had earlier suspended amid denuclearization talks between North Korea and the United States, with the South Korean military’s internal “Taegeuk” exercise. Tentatively under the name of the “Ulchi Taegeuk” exercise, the new defense drill is slated to begin next year. Some observers raise concern about whether the decision implies the termination of the UFG exercise, a joint exercise with the United States, which is defensive in nature. People who work outside typical working hours, such as working overtime or working on shift, are more likely to develop metabolic diseases such as obesity and diabetes while disturbing biological clock in the digestive system. A team of researchers led by Professor Debra Skene at the University of Surrey in Britain conducted a study of 14 American men and women and published the results on Proceedings of the National Academy of Sciences of the United States of America (PNAS). President Moon Jae-in pledged to more than double trade with India from the current $20 billion to $50 billion by 2030. “India-Korea for the last 45 years developed bilateral relations in various fields and in 2015 on the occasion of Prime Minister [Narendra] Modi’s visit to South Korea escalated them to a special strategic partnership,” President Moon said on Tuesday at a press conference in New Delhi. President Moon Jae-in ordered an independent investigation Tuesday into allegations that the military’s intelligence unit drew up plans to declare martial law early last year in case the Constitutional Court ruled against the impeachment of Park Geun-hye and angry mobs stormed the streets. The Blue House said Moon gave an “urgent order” to National Defense Minister Song Young-moo to carry out a “speedy and fair” investigation into the case, adding that the unit, the Defense Security Command, should also be probed on suspicions it spied on relatives of people who died in the Sewol ferry sinking. President Moon Tells Lee Jae-yong, "Invest More and Create More Jobs in Korea"
On July 9 (local time), President Moon Jae-in, currently on a state visit to India, attended a ceremony celebrating the construction of a new Samsung Electronics plant in Noida, near New Delhi, along with Indian Prime Minister Narendra Modi. 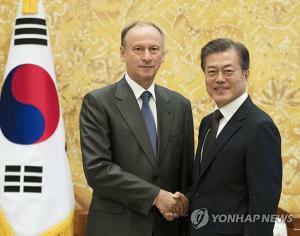 President Moon met Lee Jae-yong, vice chairman of Samsung Electronics for the first time, since Lee was released on a suspended sentence after an appellate trial in February. This was also the first time that President Moon attended an event related to the Samsung Group. The president appears to have attended the latest event based on a judgment that cooperation with large companies is necessary to achieve the government's economic policy goals of creating more jobs and achieving innovative growth. Some experts suggest that the distance between the president and large businesses may grow closer with the latest event. With the unusual blessing of President Moon Jae-in, Samsung Electronics opened the world's largest smartphone factory in India in an event that marked the official comeback of Jay Y. Lee as the virtual head of South Korea's largest conglomerate in 17 months. South Korean President Moon Jae-in and Indian Prime Minister Narendra Modi traveled together to attend a tape-cutting ceremony in Noida in northern India for Samsung's new plant capable of producing 120 million smartphones per year. A nine-year-old boy, whose identity was kept hidden by police, was caught by police at an apartment parking lot after returning from a morning drive using his mother's car. The rare incident took place in the central city of Daejeon on Wednesday morning, when the boy was at home during his summer holiday. According to the police, the third-grade primary school student took the key for his mother's compact sedan and drove it to a district office nearby and returned home. The local government office of the southern port city of Busan is receiving unexpected positive reaction among elderlies of more than 64 years of age by persuading them to surrender their driver's license by choice. More than 500 people have given up their licenses during the last two months. Although there is no clear evidence that elderlies are likely to cause a car accident, People all over the world are debating over whether governments should restrict older people from driving. Same debates took place in South Korea, where the society is aging rapidly, especially after a 2016 incident which a 76-year-old driver toppled over a tourist bus, killing four people, on an expressway when he tried to change lanes excessively and got in front of the bus. South Korea’s Hyundai Motor Group and China’s Baidu entered into a nonbinding strategic alliance in Internet of Vehicles (IoV) on Tuesday to further strengthen their cooperation in next-generation connected car technologies. The two have maintained partnership in the development of vehicle connectivity and autonomous driving since 2014. Starbucks Korea Co., local subsidiary of global coffee giant Starbucks Corp., said on Tuesday that it will replace plastic straws with paper ones and remove plastic bags and other unnecessary packaging materials at its nationwide stores to safeguard the environment. The campaign - dubbed Greener Starbucks Korea - is aimed at reducing disposable products such as plastic straws long enough to stretch up to 37,800 kilometers a year when connected. Starbucks Korea plans to gradually provide 1,180 stores with paper straws to replace plastic ones after trial operations this year. For ice drinks, the coffee brand will replace plastic straws with recyclable, strawless lids. South Korean shipyards returned to the world’s top rank in the order book for the first half after lagging behind Chinese competitors for the last three years. According to British shipbuilding and marine industry tracker Clarkson Research Services on Tuesday, Korean shipbuilders clinched deals to build a combined 115 vessels equal to 4.96 million compensated gross tonnage (CGT) in the first six months of this year, accounting for the largest 40 percent of 12.34 million CGT orders placed in the world.